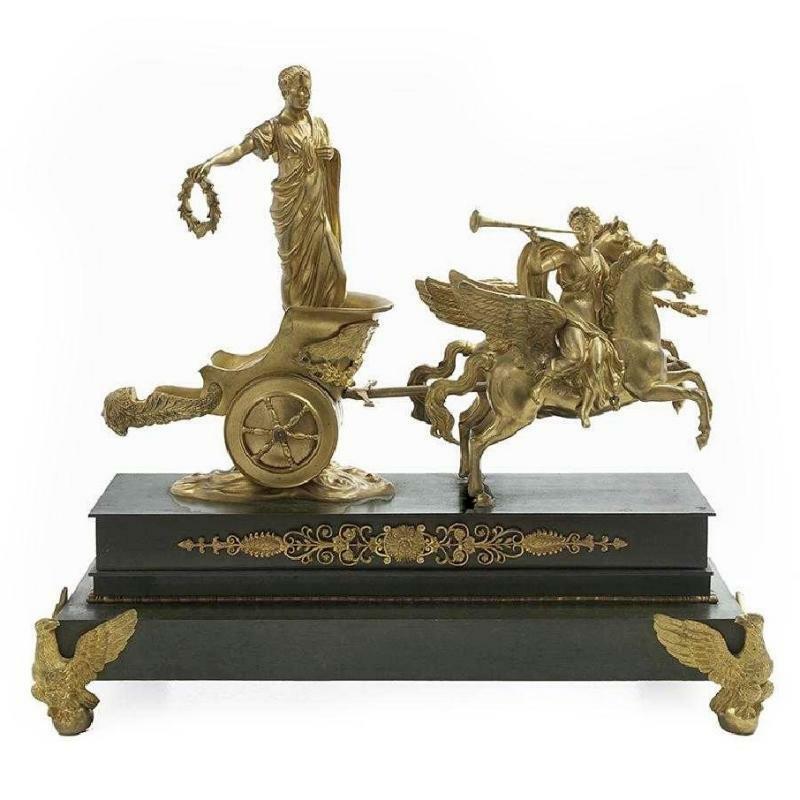 This large, antique (nineteenth century) gilt and patinated bronze sculpture depicts the emperor Napoleon as Roman emperor holding a laurel wreath symbolizing victory, driving a chariot drawn by Pegasis horses led by the Roman goddess, Victoria. 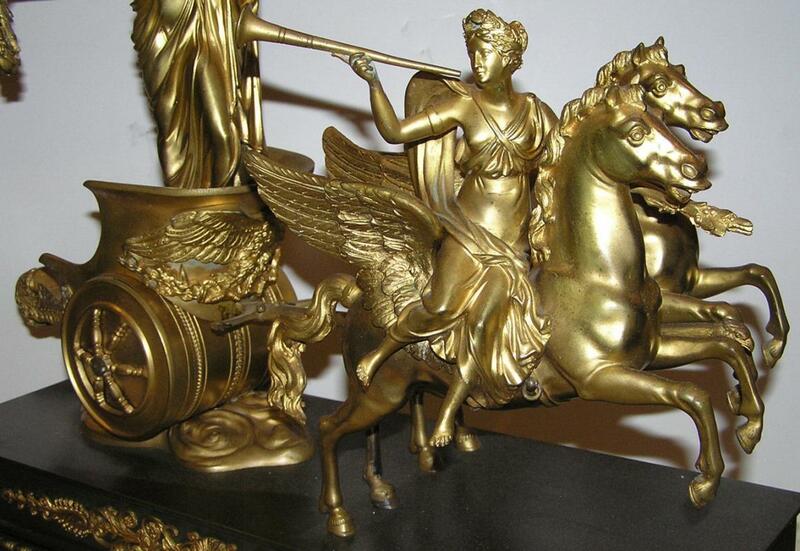 This was a popular Napoleonic theme in the fine and decorative arts throughout the nineteenth century, drawing upon classical depictions of Apollo at the helm of his chariot of Pegasus horses and muses trumpeting the arrival of the sun. 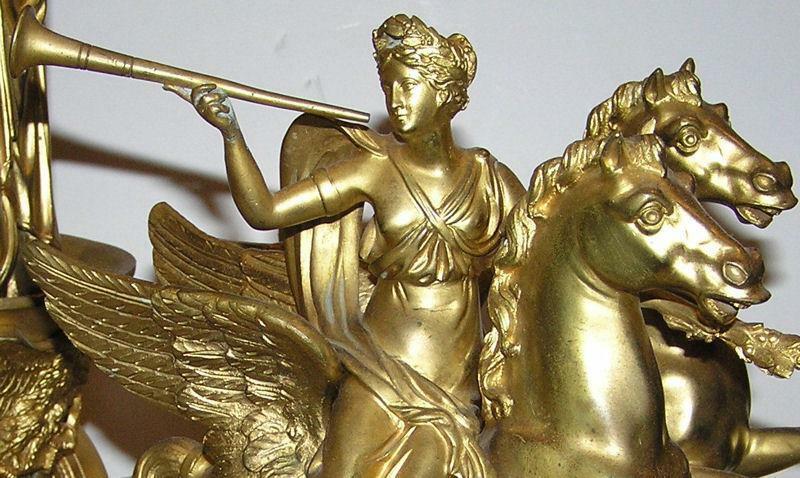 Napoleonic versions often included the Roman goddess of war, Minverva. 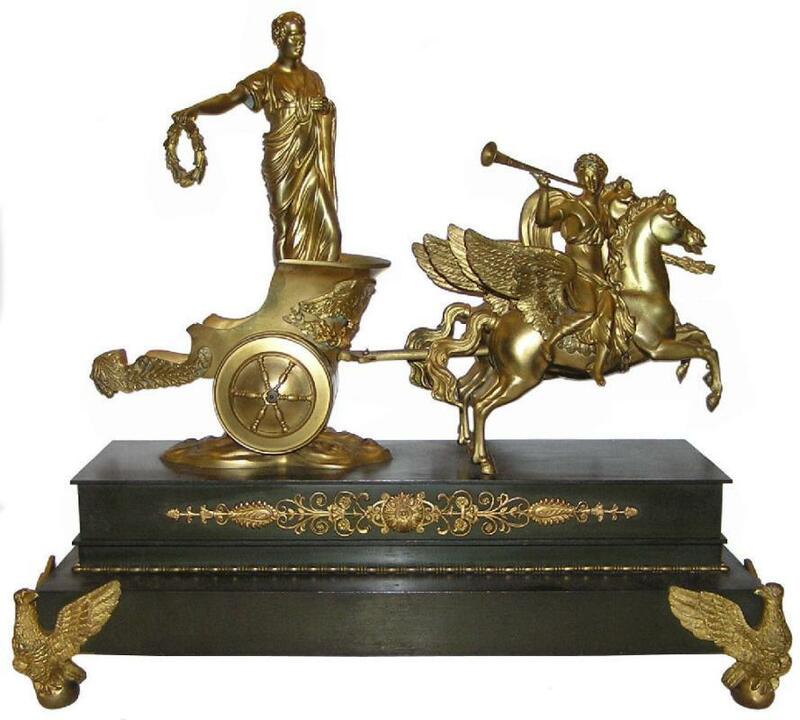 Measures: 22.5 by 20 by 9 in; 57.1 by 50.8 by 22.9 cm. 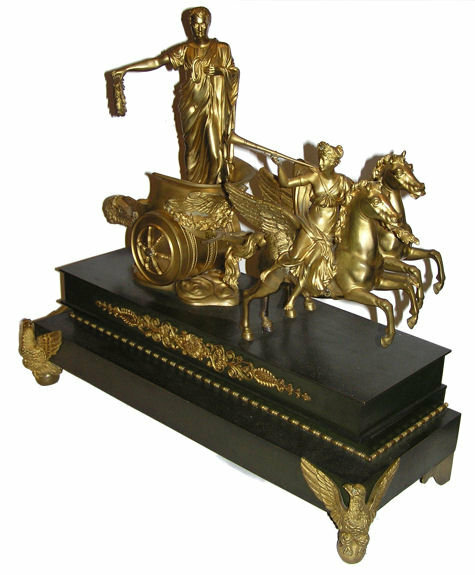 and weighs an estimated 30-45 lbs. (13.6-20.4 kg). 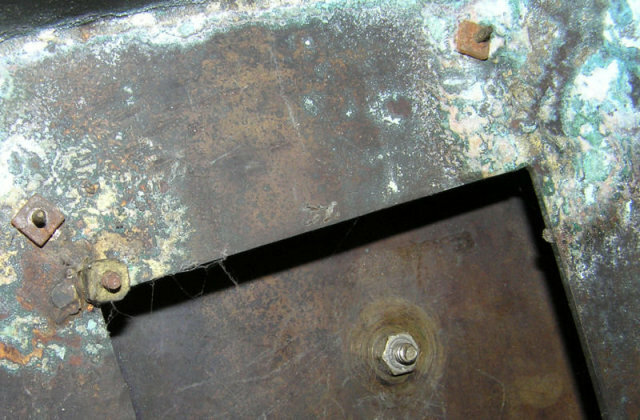 We have found no signature nor foundry mark. Condition overall is good, consistent with age. 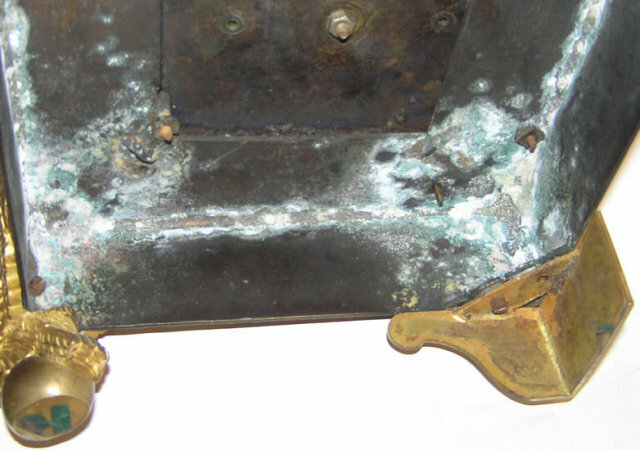 There are scratches, rubbing and nicks, plus small spots of verdigris on outer surfaces and more verdigris visible on underside. 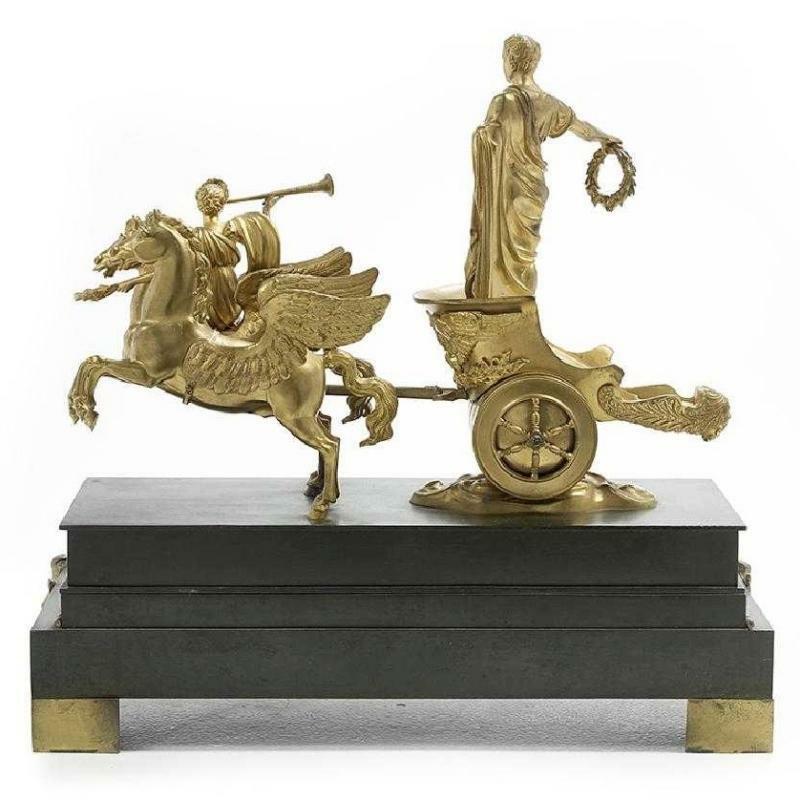 Items Similar To "Napoleon as Victorious Roman Emperor on Chariot Bronze Sculpture"